High Country Duramax!!! What a Hoss we have here! 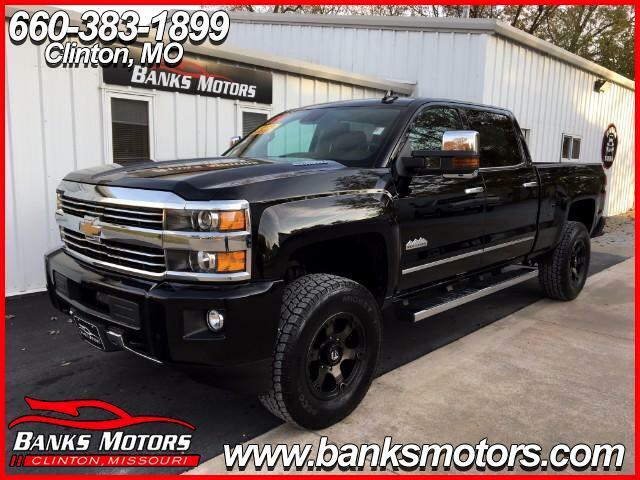 This 3500HD is Loaded with impressive options which include.....Brand New 34" Mickey Thompson Deegan A/T Tires and Leveling Kit , Heated and Cooled Leather, Navigation, Heated Steering Wheel, Bose, Back Up Camera, Sunroof, Mounted Audio Controls, Trailer Brake Controller, Full Power Mirrors, Dual Power Seats, Adjustable Pedals, Lane Departure, Exhaust Brake, Spray In Liner, Front and Rear Park Assist, Dual Climate Control and so much more!!!! !